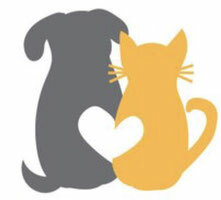 Dog grooming is not just for appearance but has to do with the health of your pet. It is important to understand the dangers involved with matting and the problems that can arise when your pet is not routinely brushed or clipped. Some dogs grow "hair" instead of fur. This means that they don't shed because the hair has a longer growing cycle than regular dog hair. Less shedding sounds great but it has a downside as well. Instead of the hair falling out, the hair gets trapped within the coat, tangling with the other hairs. If you do not brush your dog regularly, mats develop. As well as being very painful, mats can cause other problems for your dog. Matting is difficult to comb so may cause your dog to associate pain with being groomed. Groomers must use a very low blade to get under a mat...not only can this cause inflammation or skin irritation but if your dog moves at the wrong moment it could cause a serious cut. The ears are especially dangerous because the ear can become encased in mats. 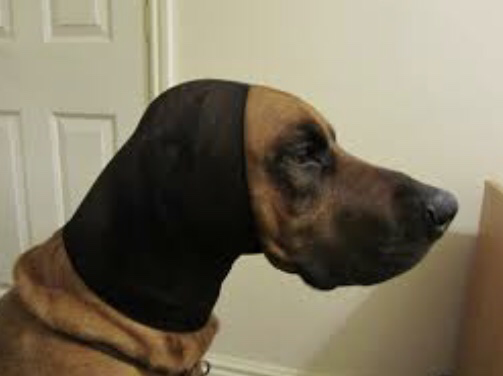 With severe matting on the ears, an ear hematoma can develop - the swelling of the dogs ear flaps due to filling up with blood. Mats restrict blood flow to the area of the body that it covers. The lack of blood flow weakens the skin causing it to be thinner and more likely to tear or bleed. 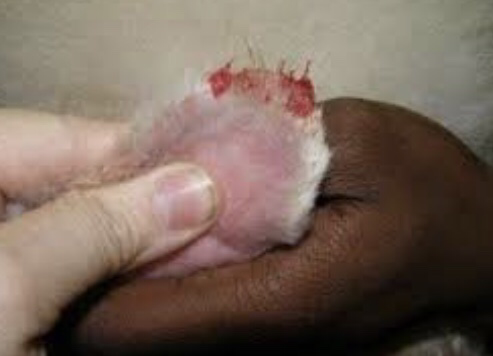 After removing mats from the ears, a quick rush of blood fills the ears at the tips and can cause "bleeding out". It doesn't always happen right away. After being groomed, sometimes the ears feel different to the dog which makes them feel the need to shake their head excessively. Shaking a dog's head just one time can cause injury. To prevent this, groomers use a sock like product called a "Happy Hoodie" on the dogs ears just tight enough to prevent the ears from flapping but loose enough for a dog to move around comfortably. 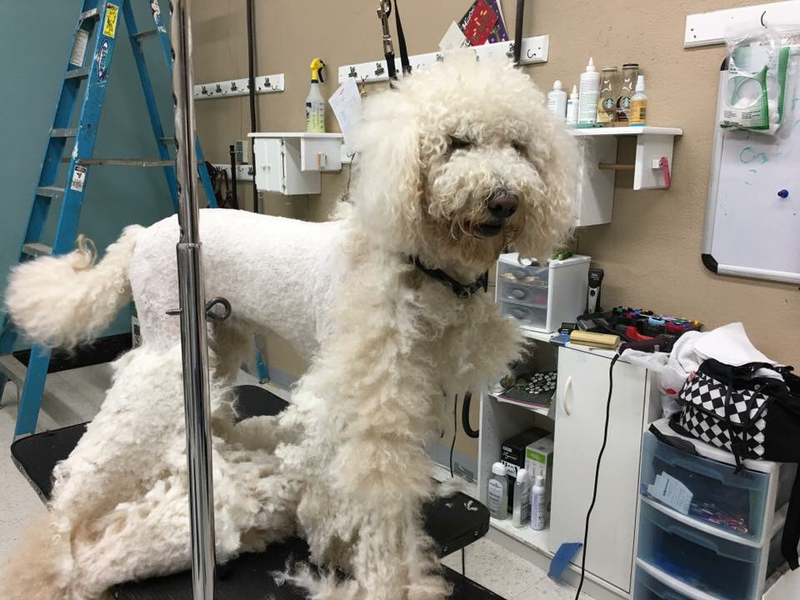 For these reasons, many grooming salons will not accept severely matted dogs, but would rather refer you to a vet. Some breeds that are considered non-shedding and require more frequent grooming include the Bearded Collie, Lhasa Apso, Coton de Tulear, Havanese, Tibetan Terrier, Maltese, Shih Tzu, Yorkie, Bichon, and Labradoodle among others.